We are an all volunteer organization that works to improve public transit in Southern California. The success of our efforts depends on your generous gifts to pay for our expenses. Please help by making a contribution. Also, if you have time to volunteer, please fill out the mailing list sign-up form and indicate how you can help us. We need your support to continue our advocacy programs and engage in productive debates against transit opponents. Transit Friends: Would you please consider a 2016 On-Going tax deductible donation to The Transit Coalition? Join Our Team and Support The Transit Coalition! Metrolink Max: The Transit Coalition is campaigning to increase Metrolink service in Southern California. 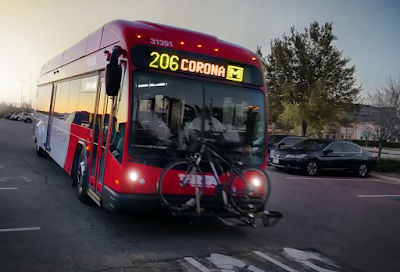 Corridor-based 30-minute service between Chatsworth and Laguna Niguel and Lancaster and San Bernardino, with late night and weekend trips, are attainable with your help. Learn how you can take action! Friends 4 High Speed Rail: Join the group of passionate supporters of the High Speed Rail concept in Southern California! Visit Group. Metro JEM Line The Transit Coalition is proposing a single rail corridor between West LA and the San Fernando Valley. Inland Logistics Jobs Smart Growth--Long Beach GRID: Take a look at the GRID Project, a proposed rail-based system for moving freight containers from the ports to Inland Empire logistics job hubs and beyond. A Better Inland Empire: The Transit Coalition is working to improve transit mobility and get more high-paying marketplace job opportunities in Riverside and San Bernardino Counties to curb long distance commuting combined with additional quality and affordable housing options in existing job hubs. How can we make it happen? See All | TV/Radio Interviews. Why Corona is "a city plagued by gridlock"
How improved citizen and community involvement in law enforcement can reduce crime and terrorism. Protecting lives and reducing pollution in developing nations should be the goal of the UN Climate Change conference. If high speed rail opponents fear government waste, why not support the growth of the technology through the private sector? Want to stay updated on the latest transportation developments? Then sign up for our weekly e-Newsletter. For media inquiries, information about our organization, or to learn about other ways you can help, don't hesitate to contact us. Facebook offers a convenient way to stay appraised of our latest developments. Keep yourself appraised of up-to-the-minute news through Twitter. View recent news and our latest initiatives in Riverside and San Bernardino Counties.